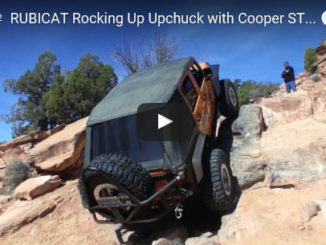 Cindy and I got out to Moab just ahead of the 50th Annual Easter Jeep Safari and got a chance to test out the new Cooper Discoverer STT Pro tires that we recently installed on Rubicat, our Jeep JK Wrangler and out on the Behind the Rocks trail. This is far from being anything special but on our way out to Moab, we decided to take a side route through Capitol Reef to explore the backcountry off road trails out in the Cathedral Valley. 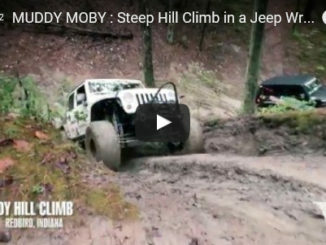 In this short video clip, you’ll get to see Moby, our 2007 Jeep JK Wrangler take on a tough, steep hill climb and back when we were still running a 3.8L motor and a manual transmission. We hope you enjoy. It’s nothing special but here’s a short video clip of Moby having some fun out in some fresh fluffy snow. As much as Cindy and I love to play on the rocks, it has always been our love of the desert and our passion for exploring it that brought us into the world of Jeeps. 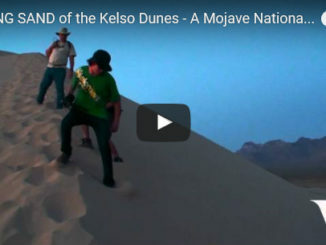 It is for this reason that we always try to spend the first weekend of January taking friends out into the Mojave Desert and to show them some of the amazing places and things we’ve found over the years. 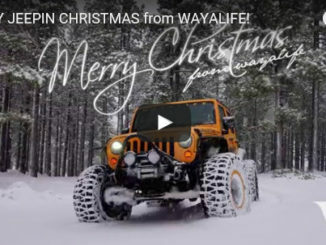 Cindy and I would like to wish everyone here on WAYALIFE a very Merry Christmas. 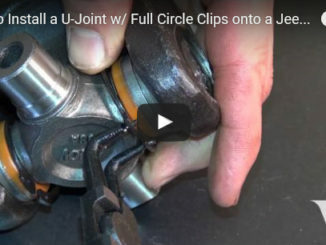 This video and the write-up below will show you just how easy it is to install a set of AlloyUSA X-Joints with full circle clips onto one of their chomoly front axle shafts. 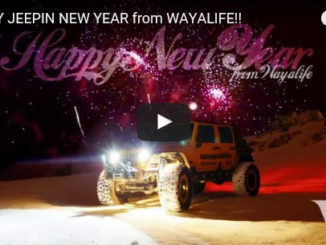 For Cindy and I, the Jeep WAYALIFE has always been more about the places our rigs can take us than just getting out and driving over stuff. Not that there’s anything wrong with the latter but we already make plenty of videos of that. 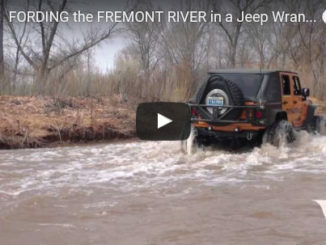 With that said, we wanted to change things up a bit and decided to make this short video to highlight an amazing “destination” that our Jeep took us to. 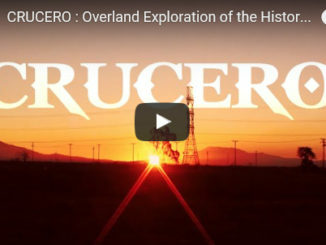 We hope that you’ll enjoy it and maybe be inspired to get out and do it for yourself! Outside of the Rubicon and the Dusy Ershim, Fordyce is without question one of toughest trails in the Sierra Nevada Mountains and depending on who you talk to, the hardest of the three. While it wasn’t our original plan to run this trail, it wouldn’t be the first time we’ve gone off script, on a whim and really, that’s the kind of thing that makes an epic trek like this so much fun. Just 2 more days till the release of SNAKE EYES : A fateful Trip across the Fordyce Jeep Trail! To keep your juices flowing, here’s another short teaser clip from the film and this time, it’s of Moby taking on the infamous Winch Hill #1. In this short teaser video from our upcoming SNAKE EYES film, you’ll get to see our good friend Jeff fording his way through Water Crossing #1.